So, I made a wedding cake this weekend. It was my present to a dear friend from law school who was putting together a small, DIY wedding. She and her fiance (now husband!!) did an absolutely stunning job decorating and self-catering out of their Brooklyn apartment; they came up with a million beautiful touches – from delicious pre-mixed cocktails inspired by the bride and the groom to bunting strung across the living room from the vintage chandelier. The whole event, from invites to tablecloths, was done in shades of teal and gold, and I tried to incorporate these colors in the cake by using a light teal frosting (perhaps a little reminiscent of certain blue boxes) and gold-dusted gardenias and jonquils. In any event, the bride was happy and we all had a grand old time. To digress for a moment: I happen to have gone to a talk last week at the Brooklyn Brainery – Sarah Lohman, an actual, pro food historian (not a dilettante like yours truly) was speaking on funerary feasting traditions. It’s been a while since I’ve done a serious history post; Sarah’s excellent lecture, however, got me thinking about the associations between food and major life milestones. So, I decided to dive into the history of the modern Western Wedding Cake tradition. 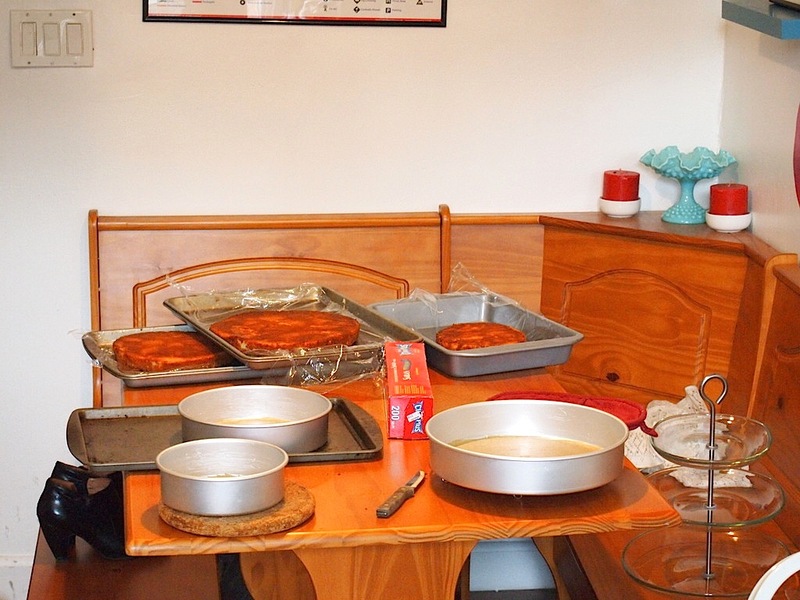 I’ve interspersed some pictures from the cake-making process to keep things visually interesting. Wedding cakes, of a type, have been around since Ancient Rome. Roman brides and grooms joined in confarreatio – a particularly traditional and binding form of marriage – shared a wheat cake during the ceremony. This cake was called panis farreus – hence the name of this type of union. Fun fact as this is, though, the modern wedding cake seems to have its roots in England, not Rome. 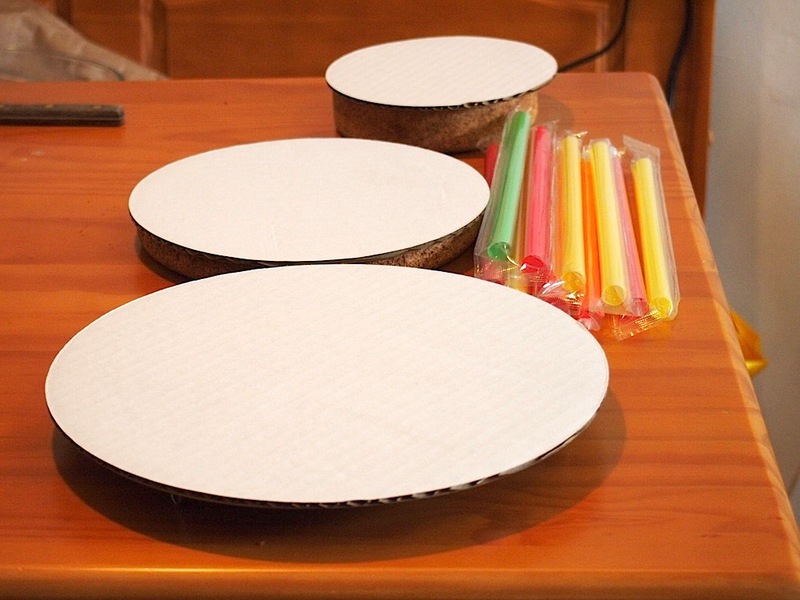 Structural elements: bubble tea straws make great supports, and cake boards are essential. Skipping forward a few millennia – during the Middle Ages, the must-have centerpiece for a fancy aristocratic banquet (including, presumably, one for a wedding) was carved sugar sculpture, rather than a massive cake. These sugar pieces could take any number of fanciful and elaborate forms – from religious scenes to roast peacocks. A custom arose at English weddings, during the same period, of throwing wafers at the bride’s head and distributing them to guests and to the village poor. Small spiced buns were eventually substituted for wafers; these buns were heaped in a tall pile, over which the bride and groom would kiss for good luck and prosperity. There is some speculation that the French croquembouche was inspired by these piles of buns. 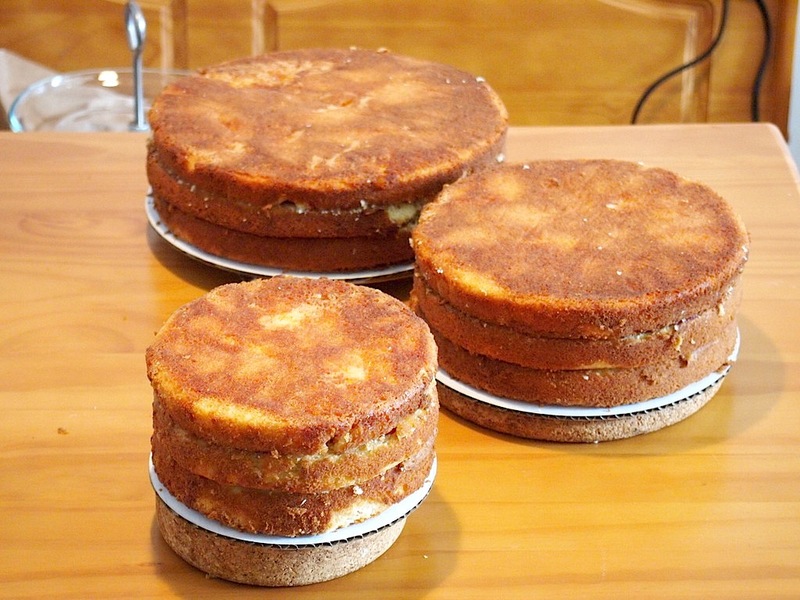 Keeping your layers level is absolutely essential; I shaved the tops off most of my cakes to get them nice and flat. The first British wedding-specific recipe, for “bryde’s pie,” appeared in the 1685 edition of The Accomplisht Cook by Robert May, and called a fancy crust filled with oysters, pine kernels, cockscombs, lamb’s testicles, sweetbreads, and spices. It seems that “bride cake” and “groom’s cake” became popular during the 1600s. The former, as Herrick’s poem indicates, was a nut-and-fruit cake, and was topped with icing; the latter was smaller and darker and pieces were sent home with guests as a party favor and good luck charm. Prominent eighteenth-century cookery author Hannah Glasse included a “bride’s cake” in her Art of Cookery Made Plain and Easy; this cake calls four pounds of flour, thirty-two eggs, six pounds of dried fruit, and half a pint of brandy, and is covered after baking with a white icing of refined sugar, egg whites, musk, ambergrease, and orange-flower water. Given my new-found orange-water allergy (not to mention faint disgust at “musk”), I will probably not be trying this. I filled these layers with raspberry jam. I do not have a fancy icing stand, so I used set of cork trivets to lift the cakes off the table. 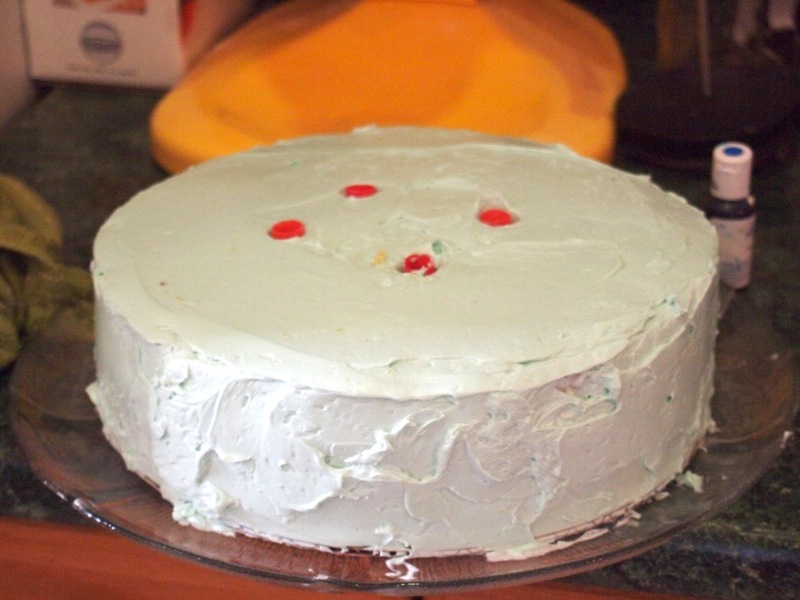 This American cake, like the English ones from previous centuries, was covered in white icing. White wedding cakes, since Victorian times, have been associated with purity. During the first half of the nineteenth century and before, however, white icing was linked to status rather than to the bride’s virginity: the refined white sugar needed for white icing was expensive. The reign of Queen Victoria saw the introduction of the first tiered wedding cakes – and of “royal icing” which is used to this day to pipe designs. 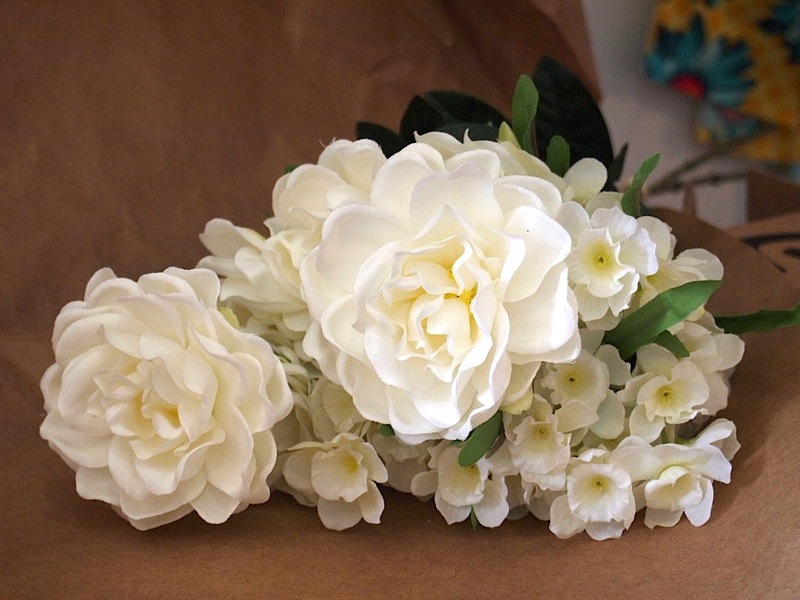 Do not be fooled: these are totally not real flowers – they are amazingly lifelike silk creations from Pany NY. By the end of the nineteenth century, my collection indicates that American wedding cakes moved away from fruit – and towards angel food. The Gay Nineties Cookbook (a doubly-vintage volume compiled in 1945 from 1890s recipes) includes both bride’s cake and wedding cake recipes; all three cakes are heavy on the egg whites and almonds. Similarly, the Picayune Original Creole Cookbook (from 1947, originally published in 1901) includes a bride’s cake, or “Gateau de Mariee” that takes a dozen eggs and is flavored with a dash of lemon extract. The key to mousseline buttercream: egg whites and syrup combine to make it both fluffy and stable. My mixer, Princess Buttercup, got quite an unladylike workout making 12 cups of this stuff. I found yet another nineteenth-century “wedding cake” recipe in a facsimile of the 1896 first edition of The Boston Cooking School Cook Book (known in later incarnations and editions as The Fannie Farmer Cookbook). I find this recipe rather intriguing because it seems like a hybrid of the Gay Nineties and Frugal American approaches: it is a serious fruitcake, incorporating several pounds of raisins, currants, and citron, but it is also lightened with beaten egg whites. As you can see, the terminology “wedding cake” was beginning to creep in by the 1890s and to subtitute for the more traditional “bride’s cake.” And so, between this name change, fluffy white Gilded Age cakes, and Victorian tiers, we have the basic elements of the wedding cake we know and consume today. The rest is…you know. Here is Tier 1, studded with bubble tea straws and ready for Tier 2 to be dropped on top (carefully, using a 12-inch cake spatula). There’s no weekly recipe at the bottom of this post – I did not want any added risk, so I used all modern recipes for this cake. 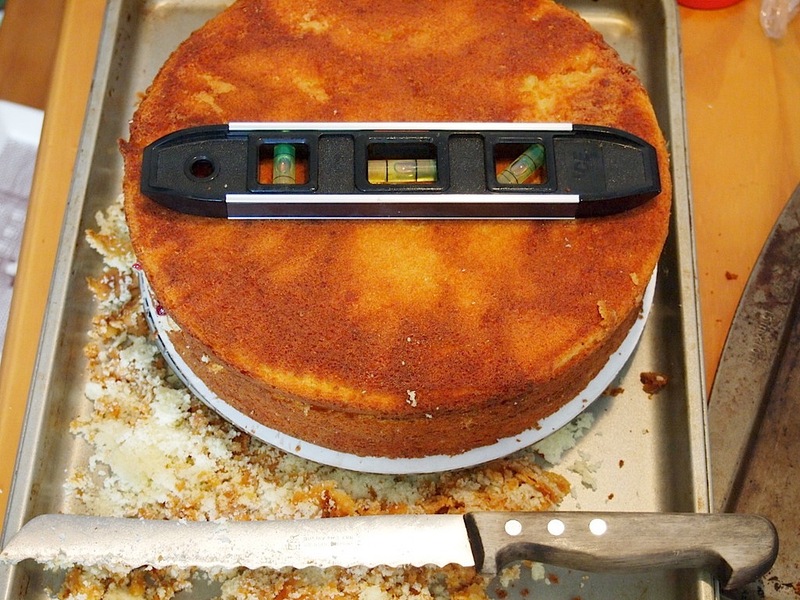 The cake itself is David Lebovitz’s Almond Layer Cake, with raspberry jam between the layers. For frosting, I used Rose Levy Berenbaum’s super-sturdy Mousseline Buttercream – and flavored it with Rose’s lemon curd. 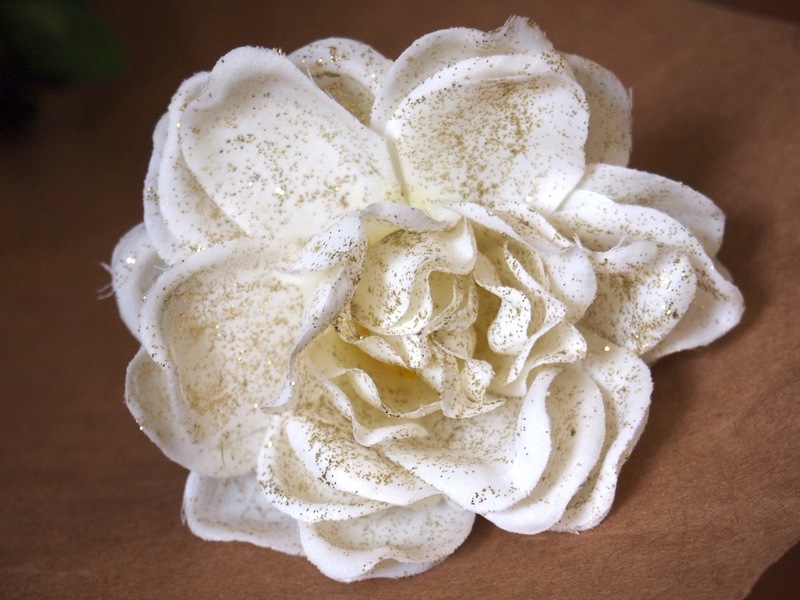 The reason I used silk flowers: I wanted to coat them in disco dust. I used a solution of water and Elmer’s non-toxic to adhere the dust. S. Charsley, “The Wedding Cake: History and Meanings,” Folklore, Vol. 99, No. 2 (1988). D. Spicer, From an English Oven (1948). C. Wilson, “Wedding Cake: A Slice of History,” Gastronomica, Vol. 5, No. 2 (Spring 2005). Scholarly wedding cakes! I imagine the wedding was great. Deirdre and I catered ours, largely from Zabar’s and the Grand Union near Einstein, but it didn’t have a tiered cake like you made. Great job on the cake! I love the color too :). That’s the kind of wedding I want, simple! Correction: the bride was THRILLED, OVERJOYED and AMAZED with this beautiful cake and your incredible heartfelt contribution to our wedding celebration! We can’t thank you enough Celia!! 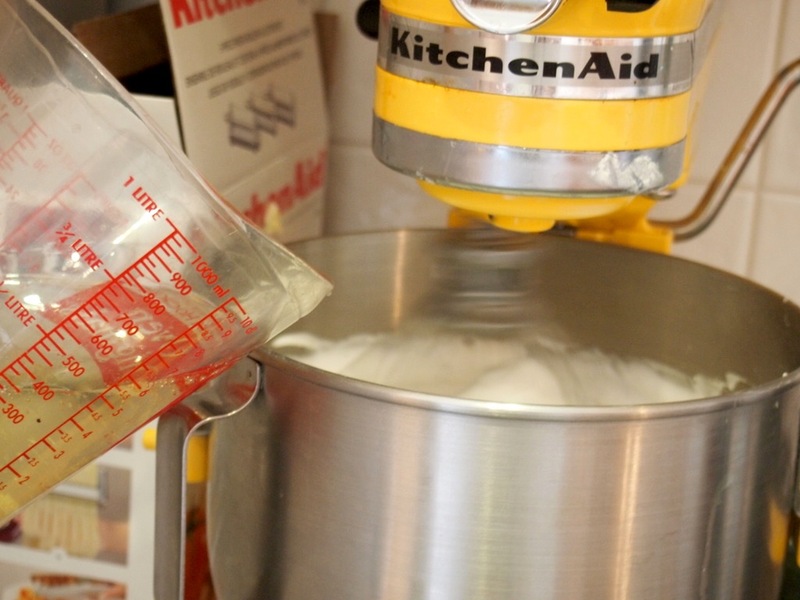 The best thing I learned from this post is that your mixer is called Princess Buttercup. Well done you. Wow! You’re one talented lady. I’m sure it tasted as great as it looked.